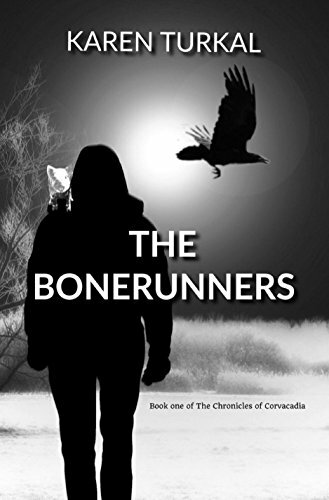 Today we welcome Karen Turkal, author of The Chronicles of Corvacadia, a New Age urban fantasy trilogy that grips and doesn't let go. Thank you, Hannah, for this opportunity to welcome everyone to my imagination. I am happy that you are brave enough to come inside my head for awhile. How I begin to write and maybe you can too! Now that I’ve written books, everyone asks me about my imagination. Just where and how I think up characters and a premise. I believe it begins with observation. Details. Tiny bits and pieces. Oh sure, to begin to write you have to have an ‘idea’. Hopefully a premise that, if not unique, at least puts your brand of imagination into so you have created it to be your very own. I often surprise myself as I am writing. I would be driving down the road, or in the middle of washing dishes or doing laundry and many tiny bits and pieces of sentences would be so strong in my head that I had to hurry and write them down. Some were so stuck in my head I can scan through my novels and find them. Besides imagination, I did a lot of research. They say, ‘write what you know’, and I did, except when I dug into bits and piece, I found more. Never underestimate your imagination. It can be magical. How do you take an idea, a premise, and develop it into a novel plot? How do you break it all into details and yet keep it believable? I like to think that I write what I love to read. So I simply just start writing. As I go along, it’s almost as if the characters are leading the way. I do go back and forth in the manuscript to add more detail, or maybe some more dialog. Dialog is not my favorite thing about writing. My head speeds to fast ahead to enjoy the ‘he said, she said,’ but I love reading it, so I include a lot. What do you do on those times when life is simply too hectic to pause and write down ideas? 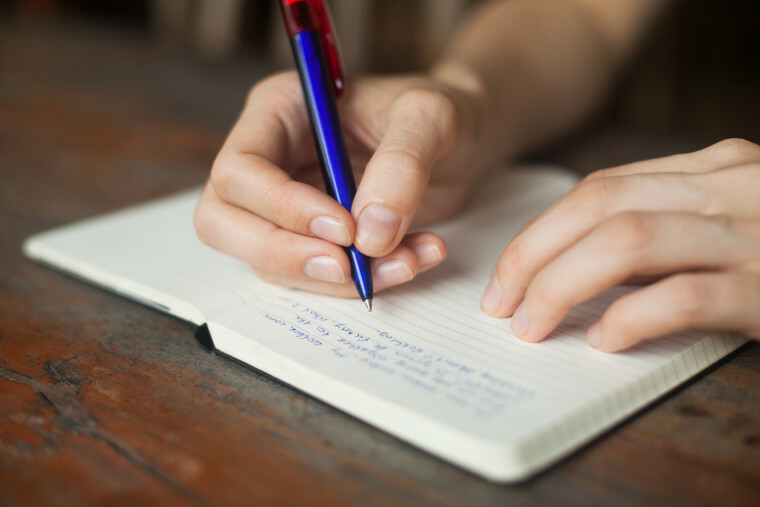 Have you tried alternative methods of capturing your thoughts, such as dictation? No dictation. When an idea or cool thought comes to mind, I try to word associate to remember the highlight word of the thoughts, if that makes sense. For instance, I was on the way to a BBQ with nothing to write on. I came up with the idea of PUSHY, she’s one of my favorite characters. I wanted a unique way for her to communicate, so I thought...’paper plates’ and the BBQ was a perfect way to remember. Karen Turkal resides in a small town in Ohio and is an old fashioned country girl. She loves to hang out with her husband and their dog, Jack the Thunderdog. Even as a young girl, Karen could find magic everywhere - above puffy clouds, under a green leaf, inside a shadow. Karen just wants to tell her readers a story and thinks maybe, the secret to life is caramel. Check out Karen's books on Amazon, connect with her on Facebook and follow her on Twitter. Being a writer, I started off a million miles away from anything design-related. I think in words, not images, and of course there's the proverbial "don't judge a book by its cover". Nevertheless, I had to come to terms with facts: readers who come across your book for the first time see the cover. You have about a microsecond of their attention before they decide, "This isn't for me" or "I want to find out more". Clothes are just a cover, too, but nobody would think of showing up on a gala night in a bathing suit (I hope!). Having finally understood the importance of cover design, I could congratulate myself on having gained another point over which to fret, all the while wishing I had hundreds of dollars to spend on a brilliant custom-made cover by a top professional designer. Of course, money being a big stumbling block for me, I have to use hacks such as premades on sale, cheap or free stock photography, and Canva. 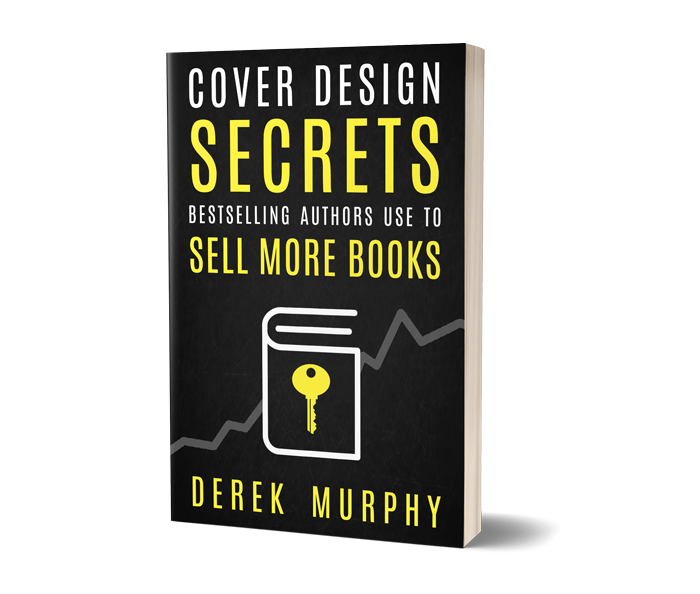 Lately, reading Derek Murphy's ebook on cover design has revolutionized the way I think about book covers. It's absolutely packed with sound, down-to-earth, straightforward, practical advice. And the best part? It's free! You just click the link above and grab it. It doesn't get better than this. In a nutshell, here is the main idea: your book cover doesn't need to be brilliant. It only needs to be good enough to make people read the description. A cover doesn't need to be so expensive it breaks the bank, or so original that it's hard to guess the genre by looking at it - the genre has to stare into the reader's face in that millisecond of their attention you have - or so complex that people are forced to stare for long minutes trying to figure out what goes on there. What I especially loved is the message that anyone can come up with a decent book cover, even authors on a shoestring budget that can barely afford Shutterstock. In contrast to other guides, this book doesn't scoff at authors who DIY, patronizingly saying, "come back to publishing when you have more money". You can learn enough to come up with clean, simple covers that do the job well enough until you can upgrade. Derek walks us through it all - layouts, fonts, colors, genre tropes, with multiple case studies and examples of what not to do. So if you have time to just read one book on cover design... pick up this one. He also has plenty of other stuff about writing and getting your work out there. When I was young, I lived in a writer vacuum - for many years I didn't know other writers, didn't show my work to anyone, and had no idea how to compare my skills to anyone else's. In today's post, mystery author George Wier gives some advice I really wish I had received way back as a newbie writer, when I was terribly insecure and desperate for validation. She was busily writing away longhand on the couch while everyone else babbled away incessantly nearby. Her writing was frenetic and fast and I could practically hear the gears smoothly cranking along, smell the oil burning, and I innocently asked, “What are you writing?” She went on to explain that it was just thoughts, stories, whatever came into her mind. After finding out that I, too, was a writer—from her mom, no less, who was hanging out nearby—and a writer who has had some small success in the field, she asked me if it might be all right for me to have a look at her work sometime, possibly give her some helpful pointers. And then, thankfully, she went back to her writing. Afterward, I damned myself for intruding. Don’t ask for advice, from me or anyone else, as to whether or not your writing is any good. You see, you already know everything you need to know, even at such a young age. It’s your language. You can speak it better than many another adult I’ve met. If you can speak it and you can read it, then you can write it as well. On top of that, I would assert that you can pick up a book by anyone else, read the first few sentences, paragraphs, or perhaps pages, and know instantly whether it is any good. You can make a snap judgment about it, and that judgment will be found to be unfailing. It will be one hundred percent correct, as far as you are concerned, every single time. All you have to do is apply that selfsame objective ability to judge to your own work. It’s easy, but it may require a little practice at first. Next, don’t stop what you’re doing. Keep writing just as you are, and if possible, as fast as you can. Most people believe that the purpose of writing is to produce a book or a short story, a paper, a pamphlet, an article—something that someone else is going to read. This is downright wrong. No, the purpose of writing is...to write. I know that’s going to sound overly simple, but truth is always startlingly simple. It is the journey, not the destination, that is important. And that is success. Success isn’t at the end. It’s right there—a young woman writing furiously away, practicing her craft, learning from herself how to turn a phrase—how to make it just right. It’s the exploration of your own inner world and the expansion of that world toward the end of all horizons. It’s the expression and the inflection of being. So don’t stop. Don’t even hesitate. Let it flow until you fill the world with oceans of your words. And make them good ones, while you’re at it. And here we are at the end and the sum total of everything I can say on the subject. That is all of it in these few paragraphs. You see, I had to come full circle to the young fellow I once was, sitting on a lounge chair writing furiously away. It’s taken me all these many years to figure out that the innermost secrets of the whole craft was something I was already doing. Along the way in life you’re going to get advice on the subject of writing from practically everyone you meet, because like me, you really enjoy the subject itself, and want to hear everything there is to hear about it, and from practically any person, whether they’re a reader, a famous author, or even—God forbid!—an editor. So the best thing you can do is listen to them and smile and thank them, and then disregard everything they’ve told you. And then go somewhere, find a quiet place—or perhaps a noisy one; sometimes that helps too—and just write. Have a wonderful journey, creative young lady. I wish you words. And plenty of them. 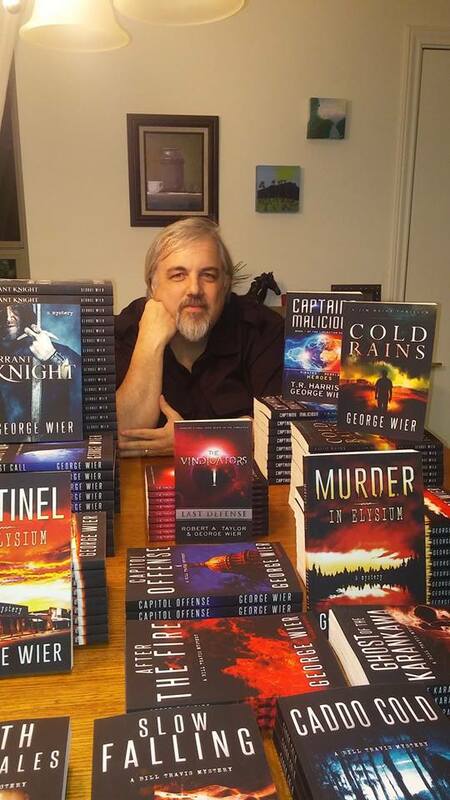 George Wier is the author of the popular Bill Travis Mystery series, and a number of other standalone mysteries. He also writes science fiction and steampunk. In his own words: "I currently live in Austin with my lovely wife, Sallie, along with two cats and two dogs. I began writing in earnest in 1986, although I have been creatively writing far longer than that. I find that I have far more ideas than I could ever write down, and so I pick and choose only the best story ideas. I write what I, myself, like to read, and nothing more. I am always happy to talk to a reader and would dearly love to hear your comments." Visit George's website, connect with him on Facebook and follow him on Twitter. I used to feel guilty about working on several books at once, but later came to accept that, rather than lack of self-discipline, this is something that refreshes and invigorates me, and keeps me from falling into a boring rut. 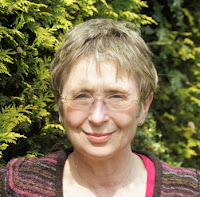 In today's post, Misha Herwin talks about juggling several writing projects along with getting them out there to the readers. When Hannah asked me if I’d like to post on her blog, she very kindly said that if I was too busy, she would quite understand. With Shadows on the Grass to be promoted, City of Secrets with the publisher and my WIP Belvedere Crescent at my beta-readers, and a couple of blogs to keep up, it might appear that I have a lot on my plate, but having a number of projects going at the same time is the way I work best. I’ve tried to concentrate on one thing at a time, but my mind veers away from the task in hand and I need the stimulation of focusing on something new, or re-visiting a piece I haven’t worked on for a while. For the past six or so months I’ve spent my time editing and now I can feel an idea for a new novel nibbling at my brain. It’s not quite there yet, but if it’s going to be the book I think it will, then it will link into the others I have written. Most of my books are set in Bristol. The time might vary, but the place is the same-even in City of Secrets which is set in an alternative England. Because of this, jumping from one novel to another is productive rather than disruptive. There is research that shows that this constant need to move on is the way the creative brain works. This, as I’ve said, has its advantages, but there are downsides too. If you don’t write quickly, you can be juggling two or three books at the same time and never get to the end of any of them. Luckily, a firmly embedded sense of “ought” means that this isn’t a problem for me, but I do know writers that struggle. Secondly, and this is my weak point, it allows me to spend less time on the one thing that I find most difficult - marketing. I start off full of enthusiasm. I contact bloggers and reviewers, set up a book launch, regularly post about my progress on Facebook and Twitter and contact the local press. Then gradually once the book is out there the momentum falters. At the point where I should be finding new readers and keeping the novel out there my butterfly mind tells me I’ve done it, the book is out there so move on to the next and let this one take its chances. It may not be as conscious as that, but I am easily bored and what really fires me up is the next brilliant new idea that just has to be dealt with. The one thing that is consistent, is that I love talking to people whether on social media or in real life. One of the reasons I like travelling on buses and trains is that so often, if you are willing to listen, people will share their stories. Increasingly research shows that people buy books because they know the writer, book bloggers too are more likely to review a novel by someone they have already interacted with in a forum or on Facebook, or Twitter. To really get your work out there, you need to network and to do that you be prepared to give as well as get. So establish a presence on social media, if that’s your thing; chat to people you meet don’t feel shy about telling them you’re a writer; get in touch with local organisations and offer a talk and always carry a postcard sized picture of your book cover, so if anyone asks you have all the information they need about your book and where to buy it. Interacting with other writers is good too. In my experience they are really helpful and generous in promoting each other’s work. So thank you to Hannah for letting me post on her blog. Misha Herwin is a writer of books for adults and children. Her short stories have appeared in anthologies in the US and the UK and her plays have been performed by a theatre-in-education company and by schools. Her books for children include the ‘Dragonfire Trilogy’ which is aimed at the 8-12 market and for anyone who enjoyed Harry Potter. She loves fantasy and magic and is fascinated by time. 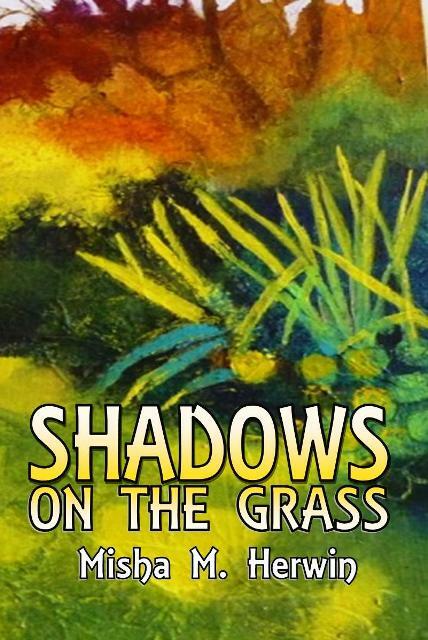 Time slip is the basis of her novel “House of Shadows” while “Picking up the Pieces” explores the problems older women face in the 21st century and “Shadows on the Grass” is the story of an immigrant family in 1960s Bristol and is based on her family history. “City of Secrets”, her latest book for children, will be published in October 2018 and “Belvedere Crescent”, another time slip novel, is due out at the beginning of 2019. Visit Misha's blog, connect with her on Facebook and follow her on Twitter as @MishaHerwin. Are you familiar with the bit of writing advice that states, "write what you know"? It makes perfect sense, but not all of us can visit every place we'd like to write about for perfect geographical and cultural immersion. Today, we meet historical fiction author Daniella Levy, who talks about researching and writing her novel, By Light of Hidden Candles, and sets an example of a meticulous research process done on a very low budget and without any traveling. When I first came up with the concept for my novel, By Light of Hidden Candles, I felt completely overwhelmed. I'd never written historical fiction before, and I was daunted by the task of researching it. So daunted, in fact, that I put away the idea for six years before pulling it out again and finally writing the book. The story flips back and forth between the 21st century and the 15th, and the former, obviously, was much easier to write. But it turned out that even the 21st-century part required no small amount of research. The book is about a pair of college students--one Jewish, one Christian--who travel to Madrid together to research their family histories, and the story they discover that occurred in 15th century Spain. I've never studied in that kind of academic setting and I've never set foot in a historical archive. I'd never even visited many of the real-life places my characters were visiting--and I didn't have the budget or the time to travel there. How could I recreate these places in the minds of the readers when I'd never experienced them myself? Fortunately for me and for other inert, introverted writers, technology and the Internet have developed in our favor. I actually managed to research quite extensively without ever setting foot outside my home. This is a no-brainer, but I'll say it anyway: you need to be interested in the time period/locations/topics you're writing about. You're going to be spending an inordinate amount of time reading, watching videos, talking, thinking, and daydreaming about them. Some of the material will be excruciatingly dull. Only a keen interest will pull you through it! Primary sources such as letters and diaries are a great place to find details about life in the historical period you're writing about. You can also learn a lot from legal and religious documents, business contracts, recipes, etc. Fortunately, historical archives all over the world have been digitizing their collections, and it's becoming possible to access more and more of these documents through the Internet. Secondary sources, such as academic history books describing or analyzing those documents, can also be helpful, especially if you don't have access to the archives or don't understand the language in which they were written. I was able to find most of the information I needed thanks to Google Books samples, Academia.edu, and other online resources. When I first tried doing this, I was terrified that the professors I was approaching would find me a nuisance and would think I was wasting their time with my silly made-up story. What I didn't realize was that most academics are absolutely thrilled when somebody--anybody--takes an interest in their obscure field of knowledge, especially a writer of fiction who will hopefully bring (accurate!) information to the masses in a far more palatable form than their publications. Some professors never responded, but most of them wrote back right away with detailed answers, resources, and lots of enthusiasm. I don't have any friends from southern or central Spain, but I do have one from Catalonia who has traveled widely in "Spain proper", and I appointed him my official Consultant on All Things Spain. You'll need to find someone who won't mind answering bizarre questions like, "What spreads do you generally put on your sandwiches?" and "If your father were deceased, what would likely be inscribed on his gravestone?" Whatsapped to him at odd hours. He might also find himself Googling images of coffee percolators to send you and defending the inordinately complicated nature of the naming customs in his culture against your exasperated whining. Warn him ahead of time. By Light of Hidden Candles also explores religion and interfaith dialogue, and I incorporated quite a bit of information and ideas I gathered from discussing these matters with people of various backgrounds and experiences. I posted open questions and invited people from all backgrounds to answer, and interviewed specific people about their experiences via email or Messenger. Google Street View is a truly amazing tool that lets you take a virtual walk down the streets of cities you've never visited. I used Google Maps to choose a childhood home, high school, and church for my character from Granada, and wandering around with Street View--combined with descriptions from travel blogs--helped me get a better feel for the scenes that might have been familiar to him from his childhood. I was also able to take an incredibly detailed virtual tour of the Alhambra using 360 degree panoramas available on this website. In one scene, the characters take a bus from Madrid to Toledo, and I wondered what they might be seeing out the window along the drive. Incredibly, I was able to find dashcam recordings on YouTube that documented that exact drive. Tourist videos taken from the rooftops of tour buses helped me get a feel for Madrid. I scoured online brochures of the tourist sites my characters visited and photos posted on their TripAdvisor pages to piece together a mental image of places I couldn't explore with Google Street View. Google Maps also helped me plan a 3-day trip to southern Spain for my characters including stops in Málaga, Granada, Lorca, and Cartagena; I was able to figure out train and bus schedules, where the various bus stops were located, etc. etc. etc. This only works if you can find courses on relevant topics, of course. I was fortunate to find several that helped me immeasurably: the Deciphering Secrets courses(in which I learned a lot about researching and transcribing medieval Spanish documents, and virtually visited several archives and museums), a course on the Alhambra from the University of Granada, a course on the Inquisition and its relationship with the Jews from Rutgers University, and a course on the relationship between the Jews and the Church in Italy--not exactly the same place, but still provided relevant information. I even managed to become literate in Spanish thanks to diligent use of the Duolingo app--which meant I was able to read Spanish brochures or academic papers that had no English translation. All these resources were 100% free. Remember, there's a reason your reader will pick up your book instead of sitting around watching 20 minutes of footage from the top of a tour bus in Madrid: they're there for the story, not for the details. I've read a few historical novels that were more "historical" than "novels"; the writer was too busy showing off their extensive research to pay much attention to character and plot development. Don't fall into that trap. Details and accuracy are good, but at the end of the day, the story is what's important. I know it's hard to let go. I still harbor a secret terror that someone, somewhere, will find some inaccurate detail that will lead them to the inevitable conclusion that I am a total idiot, and will expose my ignorance for all the world to see. 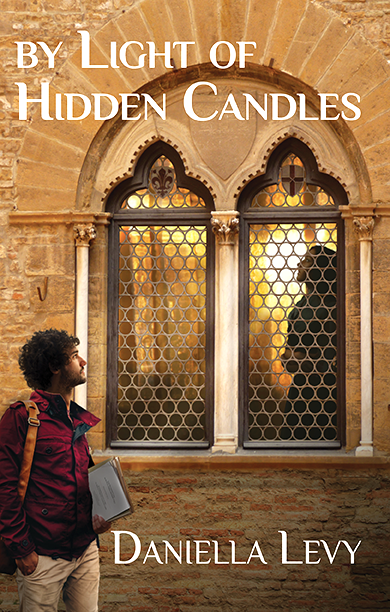 When By Light of Hidden Candles went out to early reviewers, I got this one review from a woman who was scandalized over the fact that a Jewish character in an Arabic-speaking country used an Arabic word, claiming that, "as a rabbi's wife, the author should know the non-Jewish origin of this word". Maggie Anton, author of the Rashi's Daughters series, kindly wrote a blurb for By Light of Hidden Candles, and she told me that she got lots of angry letters from people claiming that she was wrong about certain details when in fact, she had done her research and knew that she was right. Furthermore, I started to notice mistakes and inaccuracies even in major bestsellers by well-known historical fiction writers. Far from holding it against them, it made me feel so much better to know that even a big-name author can make mistakes and 99.99% of the readers won't notice or care--and those who do will probably forgive them. What else would you add to this list? What research methods have you found work for you? Tell us in the comments!